Whisk together SPECULOOS Spread, egg, sugar and butter in a large bowl. Gradually whisk in milk. Combine oats, flour, baking powder and salt. Add to milk mixture whisking just until dry ingredients are moistened. *Whisk together 1/4 cup SPECULOOS Spread and 1/3 cup pure maple syrup. 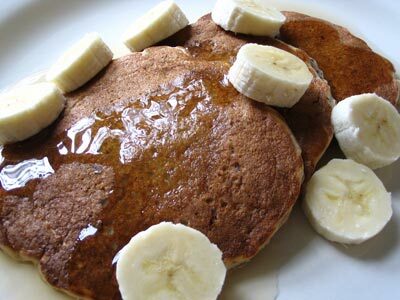 One serving is 1½ tablespoons per pancake serving.